Building this golf course wasn't a subtle process, notes Ken Alperstein. 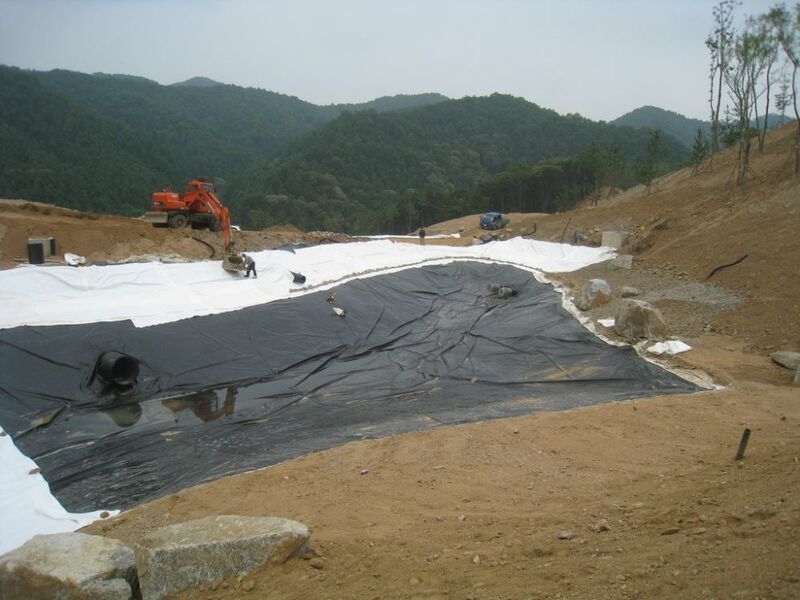 As he discusses in the first of a pair of articles on the project, they started by knocking over a South Korean mountain, then, after extensive contouring, began working on two heavily regulated water systems. We’ve participated in the construction of lots of great golf courses through the years, but this one was something special. 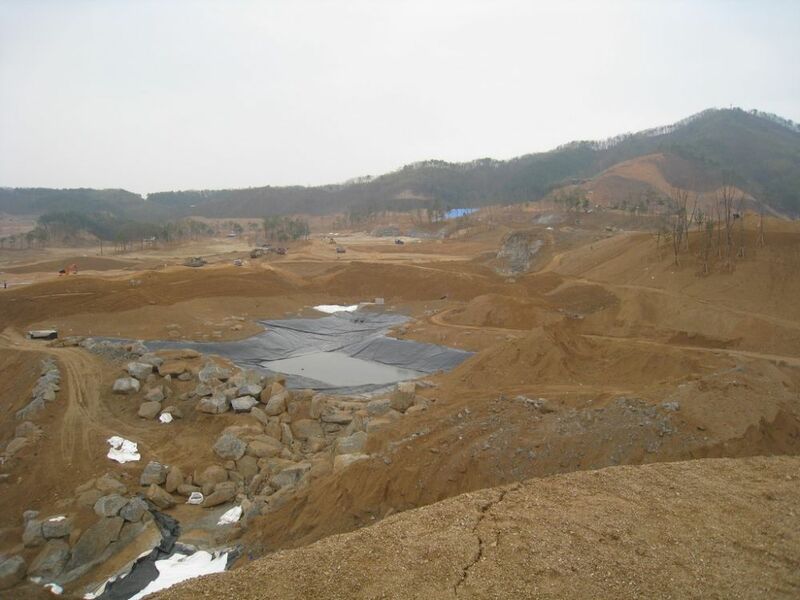 It started for us at Pinnacle Design (Palm Desert, Calif.) with a call from one of the world’s top golf-course architects, Ted Robinson, Jr., who let us know that we had to rush to prepare a presentation for a client in South Korea. As he explained the situation, if we couldn’t win over the chairman of the conglomerate that was building the 27-hole course, the job would go to local landscape professionals who lacked our expertise in this type of work. So we quickly prepared a presentation and hopped on a long flight to Seoul, South Korea’s capital, to make our pitch. For starters, you should understand that South Korea is a golf-mad nation. Then you need to know that real estate is a precious commodity in this crowded country, with virtually every square foot of flat land devoted to homes, businesses or farms. 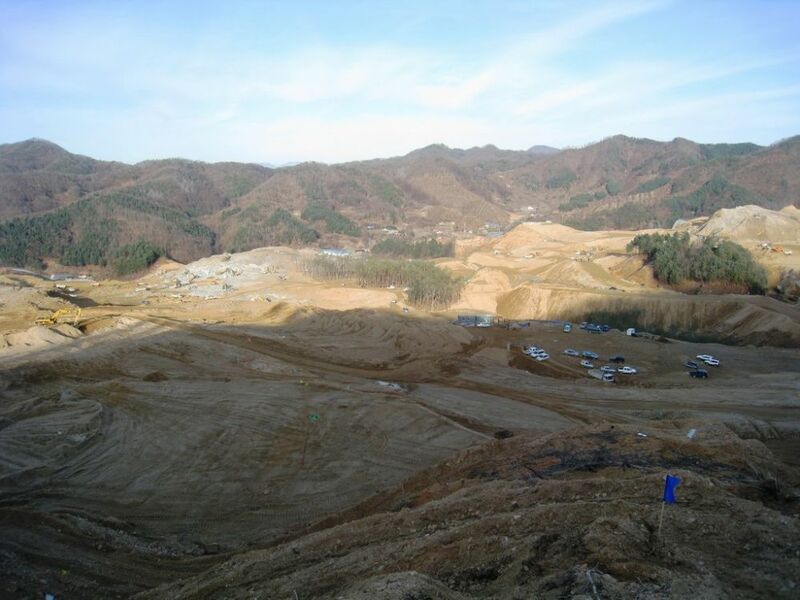 This means that something as low-priority as a golf course gets built amid the mountains that run down the country’s spine – and that there’s no easy place to make one happen. Finally, there’s the fact that the mountainous terrain has led to the general acceptance of an awkward, rigid sort of golf-course geometry: Most of them look a bit like layer cakes, with level upon terraced level rising on opposite canyon slopes in mechanical, artificial-looking stacks. It’s no way to make a beautiful golf course – and what we’d heard was that true beauty was what Chairman Lee wanted. His vision, however, wasn’t altogether clear at first. Ted Robinson, Jr. (of Robinson Golf in Seattle, Wash.) had worked with his father (Ted Robinson, Sr.) in South Korea before and was familiar with the ways in which local courses were typically designed. But he sensed that the chairman, head of the country’s thirteenth-largest conglomerate (made up of 52 companies in all) wanted more. This inkling, he told us, was what led him to give us the urgent call. We came in and made our presentation, at the end handing the chairman a copy of a book about our work on The Quarry, a project that may be familiar to readers of WaterShapes through an article I wrote about it many years ago (click here). 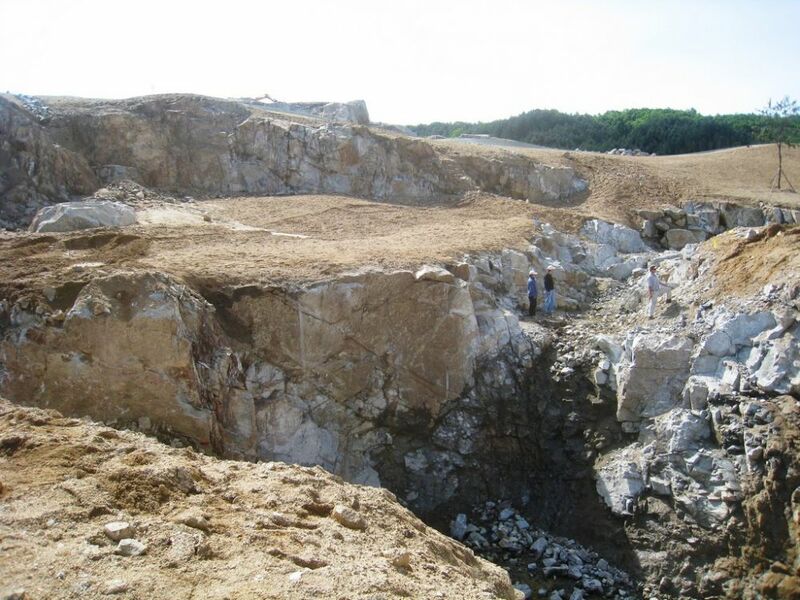 It showed how we’d taken an abandoned gravel and sand quarry and helped turn it into a Top 50 golf course – and apparently it was the book prodded the chairman toward a grander vision for the property. Soon thereafter, we were engaged as the course’s landscape architects and headed for the hills to see the site. 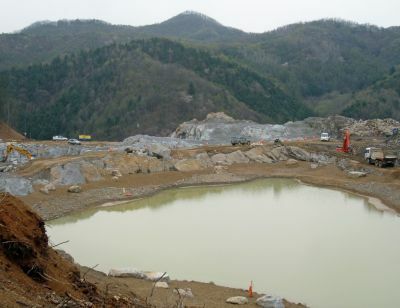 The job site had started out looking just like the forested peaks seen in the background, but with will, determination and all sorts of regulatory clearances, the work of knocking a mountain over into the adjacent canyon began and moved along at a good pace. And what a site it was! When we first saw it, the setting tugged at my heartstrings as a landscape architect: It was one of the most beautiful places I’d ever seen, a mountain glen filled with oaks, maples and pines trailing down to a natural waterway along its base. It reminded me in many ways of the wilderness of northern Michigan – something truly raw and wondrous – and we knew in transforming it that our mission was to preserve its beauty while giving it a new function. In close communication with the course architect, we began figuring out how to proceed. 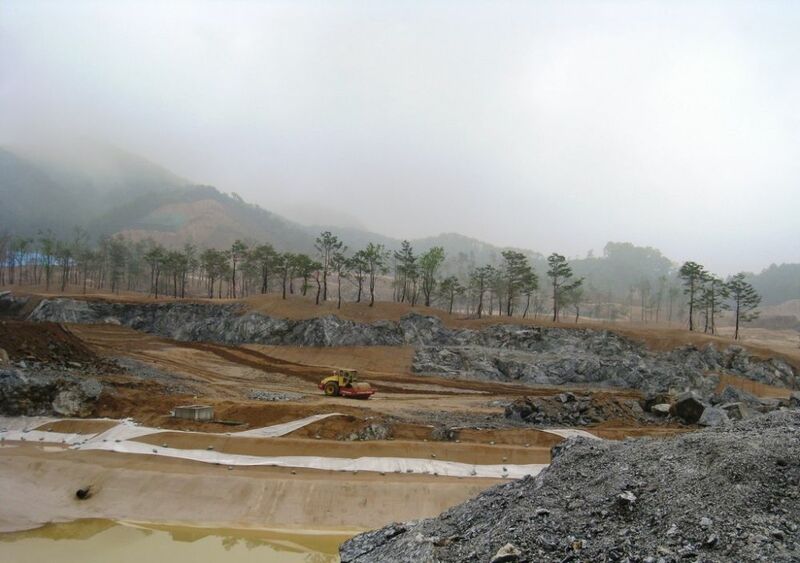 To produce the magnificent sort of golf establishment the chairman now wanted, we knew we would have to be extremely intrusive – to the tune of cutting the top off a mountain and using its spoils to fill a valley in ways that would set a workable foundation for a world-class golf facility. At every step of the way, the excavation and filling teams knew what we were after by way of basic contours and did an incredible job of hitting their marks. A huge amount of painstaking work was involved, and the proof of their skills is demonstrated by the fact that settlement never arose later on as an issue. There were issues that came with this ambition: First, the canyon had a natural waterway that supplied clean water to thousand-year-old farms in the valley below. The integrity and flow of this system had to be preserved, no matter what. 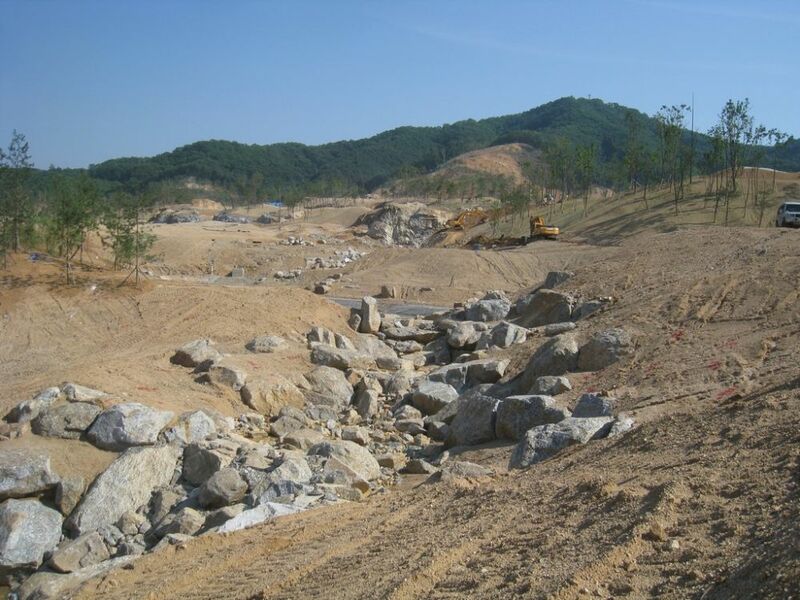 The second was that South Korea is now a bit like California in the rigidity of its environmental rules: Not only would we need to preserve the natural waterway, but we had to set up our irrigation and flood-control systems in such a way that no golf-course runoff at all could encroach on the natural stream. It took us the best part of 18 months to win approval for our hydrological plan – round after round of reviews and revisions included. Finally, we reached a point where we were ready to start working on the site, by which time the enormity of what we were planning to do began to sink in with sharp senses of reality and responsibility. One of our first major tasks involved clearing vegetation from the site. The property was a well-established fantasyland of mature trees, so we decided to dig up 11,000 of them – oaks, maples and pines – then wrap their root structures in burlap and store them nearby for future use on the course. We knew this was a risky proposition because we’d be storing them for a year or two (and through two harsh winters). We feared the attrition rate among the bagged trees would be high – but even so, we saw benefits in attempting to preserve mature specimens fully adapted to the site. Once tree clearance was complete, the astonishing process of cutting down a mountain and relocating it into the adjacent canyon began in earnest. 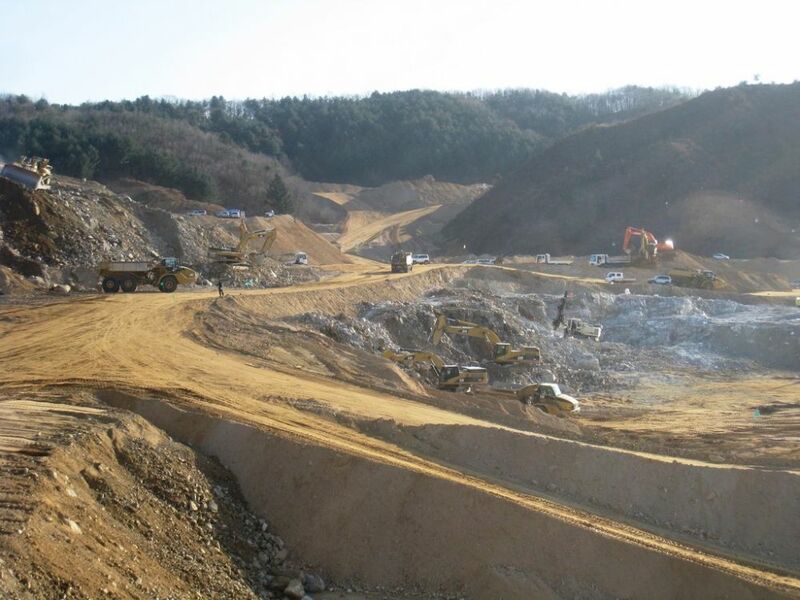 In all, more than 10 million cubic meters of rock and soil were moved laterally, supplemented by 400,000 tons of fill rock and gravel set in place before we added another 50,000 to 60,000 tons of rock to dress exposed surfaces throughout the space. Compaction was, as might be expected, an enormous undertaking. 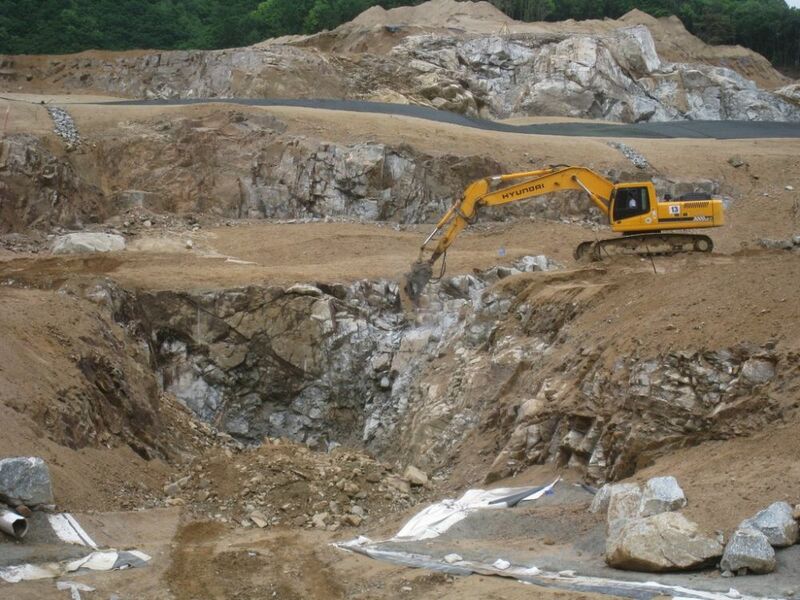 As work moved along, the excavation crew occasionally came across large outcroppings that weren’t accommodated in our plan. But we often found ways to keep them, either leaving them as decorative surface features or, in a few cases, incorporating them as channels for streams and waterfalls. 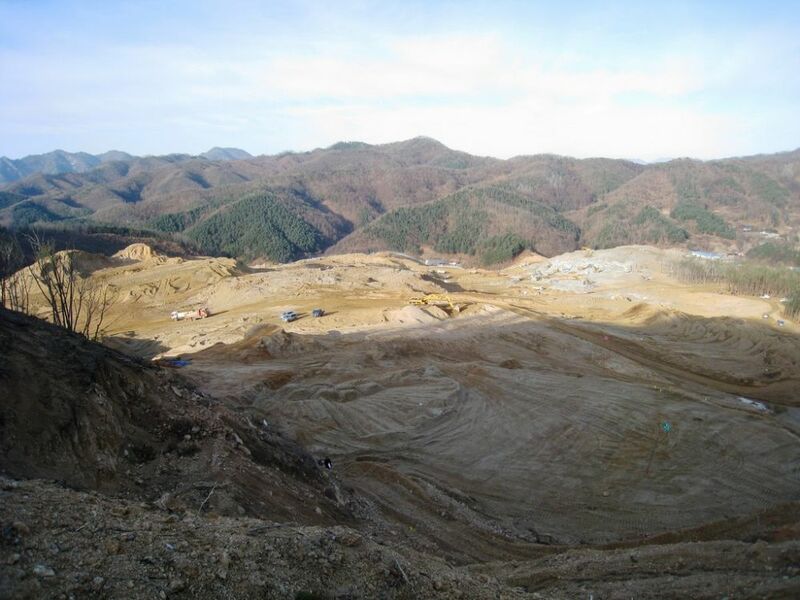 The work of chopping down and relocating the mountain was handled by a South Korean company that, at every turn, proved its complete and utter competency. There were some tough passages along the way, but with rare persistence, they managed to give the site the basic contours we’d established in conjunction with the course architect – and we never encountered a settlement issue of any significance as the work moved forward. Of course, a project on this scale involves a certain amount of improvisation. In quite a few cases, the mountain-moving crews would come across outcroppings of exceptional scale or beauty – which sent us and the course architect into lengthy meetings where we would decide if we could incorporate these natural formations into a quickly revised design. More often than not, we were actually able to improve the design by incorporating these existing features of the land: In fact, we were being so radically intrusive that I can’t help thinking we felt some obligation to do our best to respect the site’s roots. For all that, although things worked out favorably several times, there were other occasions when the excavation contractors would end up blowing the obstacle away. The scale of the water system is breathtaking. The lakes are large and deep to keep flows through them under strict control on both the retention and detention sides of the interwoven systems. 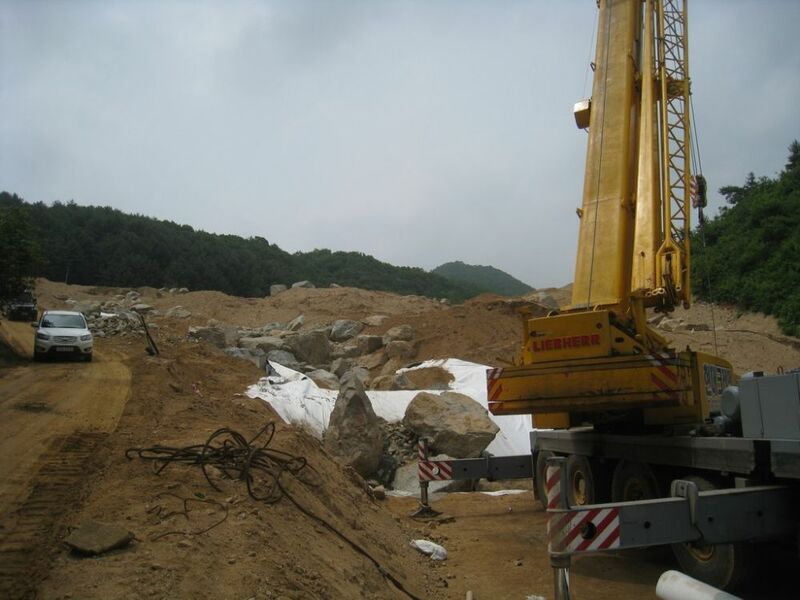 This involved big pipes and immense liners as well as a full complement of boulders and smaller rock intended to stabilize surfaces in the event of major rain events. 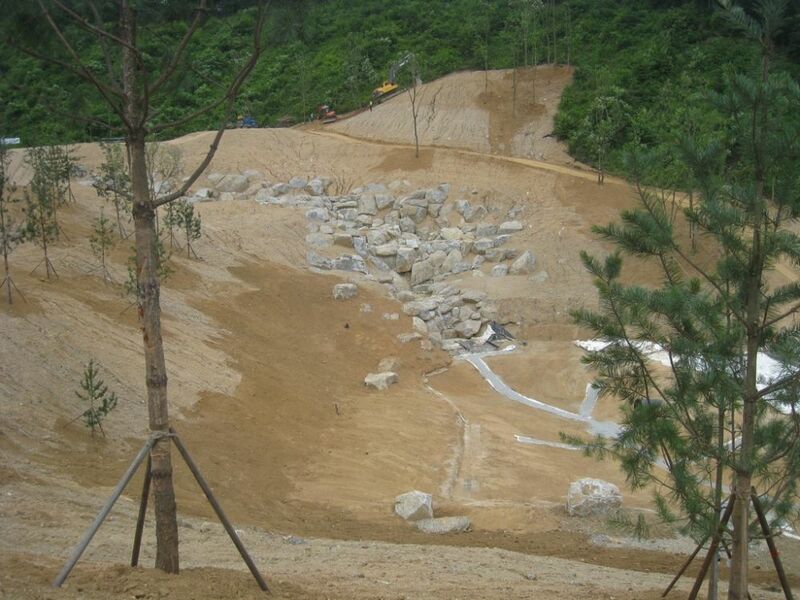 As the bones of the course were taking shape, we were also organizing the two water systems the site was to include. As mentioned above, one system would preserve the flow of the natural waterway, which we altered somewhat by inserting lakes into its path. 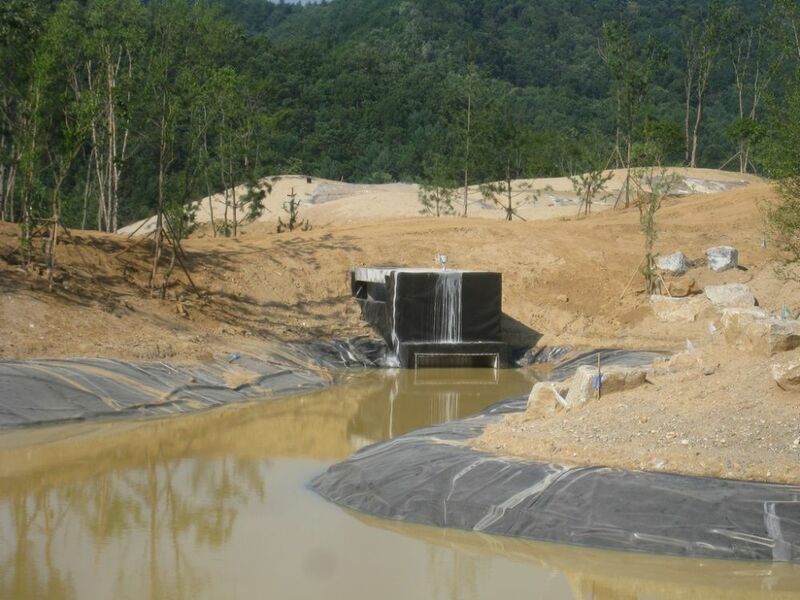 On the other, we built a completely isolated, self-standing, recirculating system that included several more lakes and a stream system flowing to a reservoir at the low end of the property. From there, water would be pumped back up the course. As part of our technical considerations, we had to accommodate the possibility of a hundred-year storm and the sort of flooding that might result. 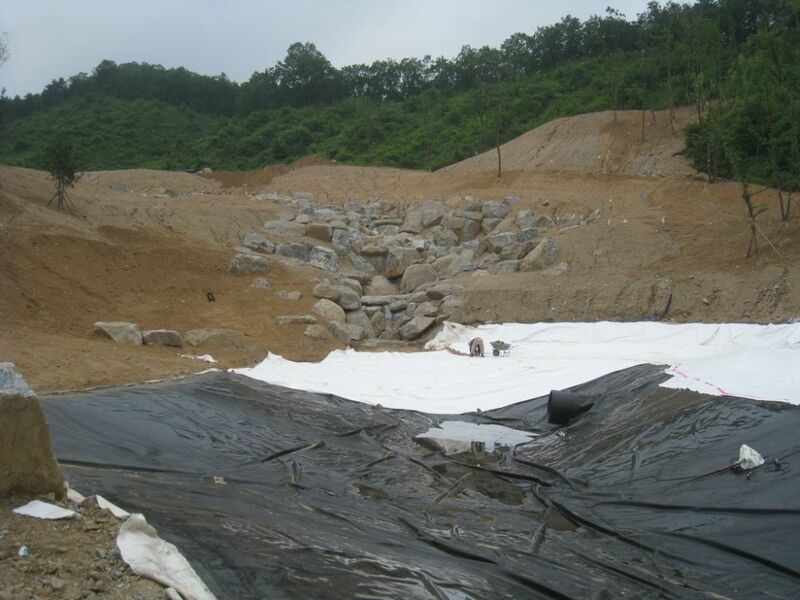 In those circumstances, we knew it would be difficult to keep the “parallel” flows separate, but we included enough capacity within each and added stormwater-waste systems efficient enough that we were able to satisfy the regulators. With all the preliminaries complete, we were ready at last to move on to the finished contouring and beautification of the newly established site. 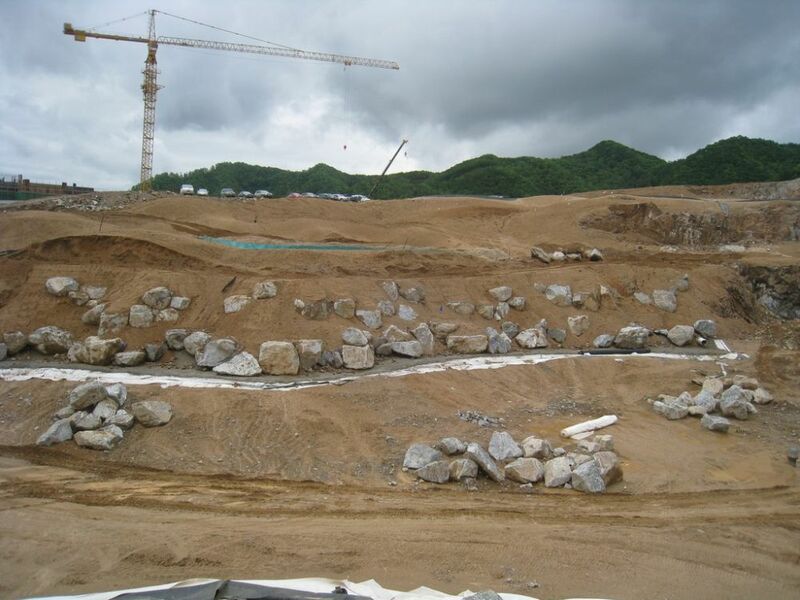 When we tackled our first golf-course project in 1990, we had no idea that we’d ever do another one. But now our course-related work makes up about 90 percent of our business, with the rest having to do with landscaping features of golf communities built up around major courses where we’ve done the primary work. Early on, we often worked with Ted Robinson, Sr., and have since worked as extensively with his son. The two of them are responsible for some of the world’s best golf courses, and their success in course design is what took Ted Robinson, Jr., to South Korea to see Chairman Lee – a business mogul graced with the soul of an artist. The lakes were to be linked by streams and waterfalls that would give the course much of its naturalistic credibility. 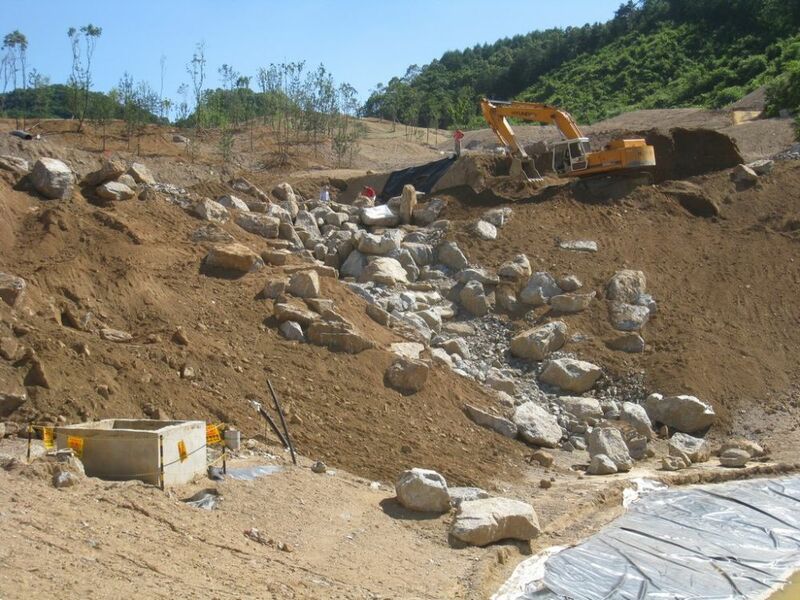 In assembling them, we used the contours we’d established in the design phase and arrayed boulders and smaller rocks to mimic natural watercourses. But in a few cases (as at lower right), we were lucky enough to be able to work with existing rock structures, using them to create what have become some of the course’s most striking waterfeatures. 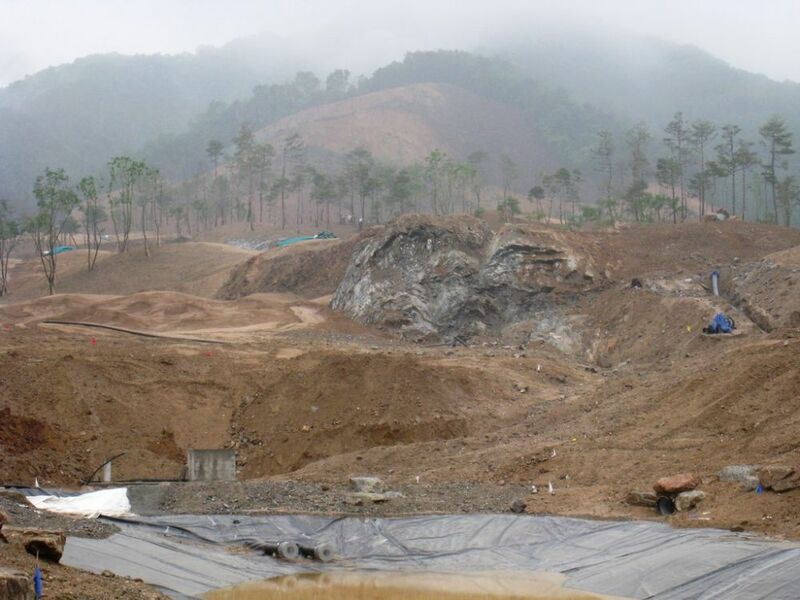 Even with our nearly 30 years of experience with such projects, the tasks at hand here were intimidating: It had been such a beautiful site in its pristine state, and we knew just how extensively we had to destroy it before we could make it whole again. For his part, Chairman Lee took an incredible leap of faith with us: If the trees we’d stored had mostly died; if the contours we’d established looked awkward or artificial; if the streams looked manmade and the parallel systems we’d created failed to stay separate, it would’ve been disastrous. But he knew what he wanted, had the wherewithal to pursue his dream, turned it all into a diverse labor of love – and left us no option: We had to perform, all of us, and we knew from Day One that we had the backing we needed to reach for excellence on every level. Next time: A look at what happened on the surface in the project’s next stages.